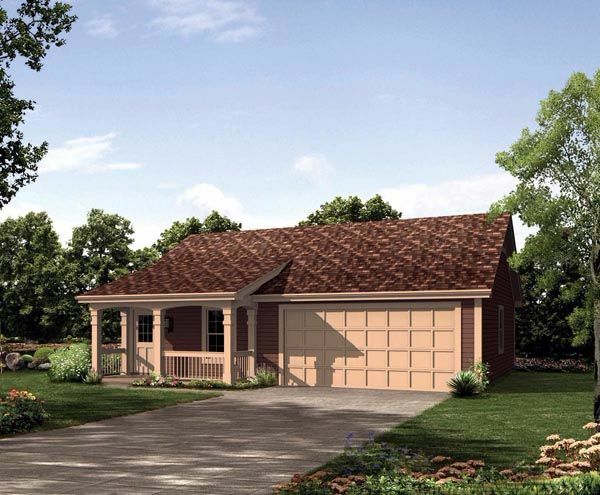 Many people consider a garage to be an essential part of their home, but it can be a bit of a challenge to find a tiny floor plan that includes one. 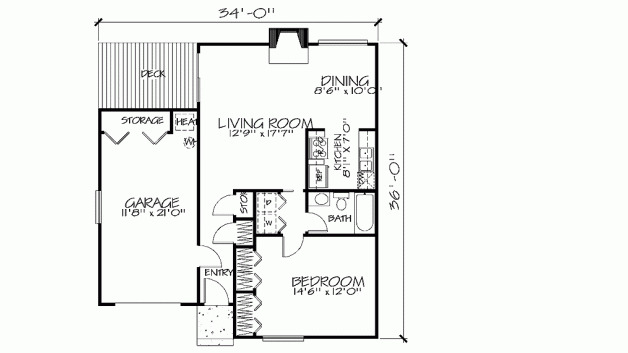 Luckily, the following one-bedroom floor plans have you covered! Some of them have a single garage, making them the perfect retreat for one. Others have a two-car garage, meaning they would be perfectly suited to a couple or perhaps a single person who wants a little extra storage space! 1. Appealing Craftsman design with large master suite from Houseplans. 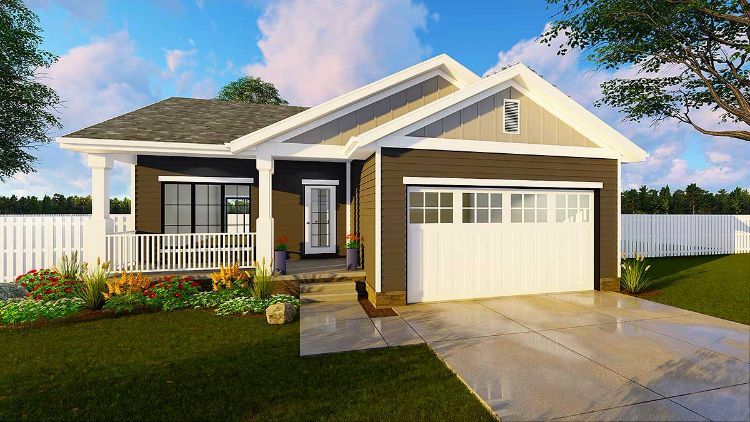 This Craftsman home from Houseplans comes in at 836 square feet (78 square meters) and has a double garage on the left-hand side. Once inside the front door, the bathroom is off to the left while the great room is directly ahead. 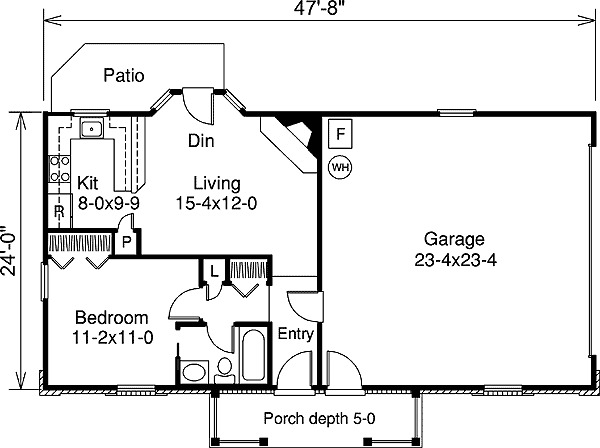 An L-shaped kitchen is to the right of the great room, and a door next to the kitchen counter leads to the back deck. 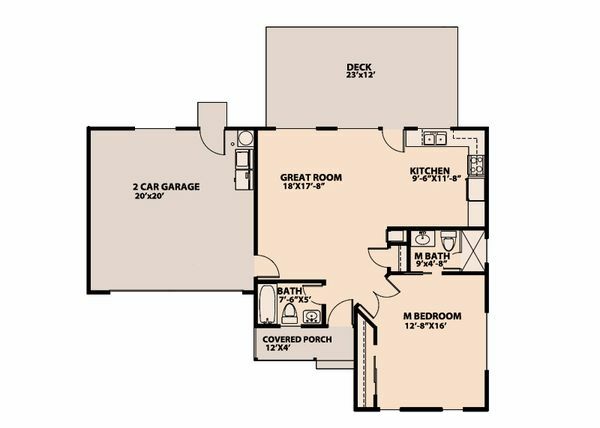 The master bedroom is in the front right corner, and it includes a good-sized closet as well as a bathroom with a shower. 2. 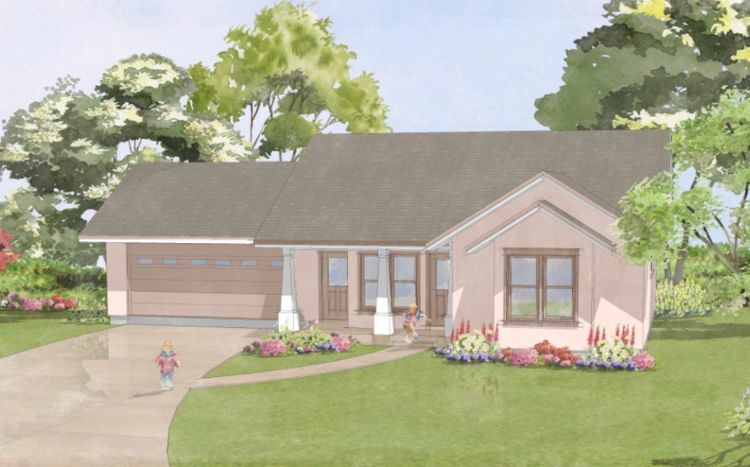 Cheery Northwest-style cottage from Architectural Designs. Measuring 831 square feet (77 square meters), this home from Architectural Designs has plenty of Northwest-style curb appeal. A covered porch sits at the front of the home, and the door here opens into a small mudroom area with a coat closet. The family room is off to the left, and the dining room is directly behind it. The kitchen is to the right of the dining area, and it has a large island and a pantry. A hallway on the right side of the kitchen leads to a bathroom with a tub as well as to a bedroom with a walk-in closet. 3. 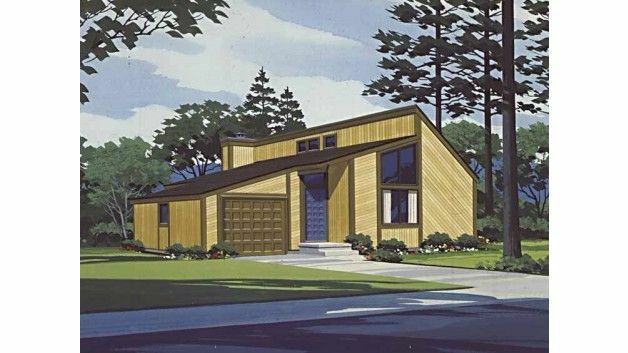 Tiny rancher from Family Home Plans. This adorable little home from Family Home Plans measures 496 square feet (46 square meters) and has an attached single garage. The front door leads into the open concept living room, dining area, and kitchen; the dining area sits in a well-lit nook on the left. 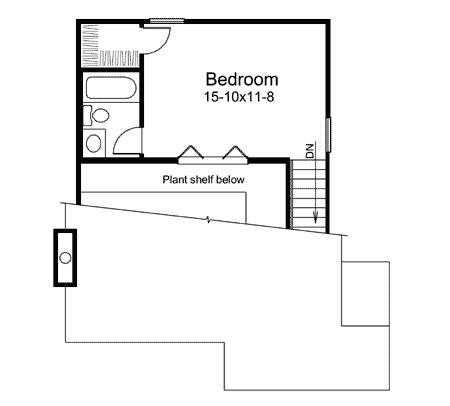 The bedroom is in the back right corner, and it provides access to the bathroom as well as to a spacious walk-in closet. 4. 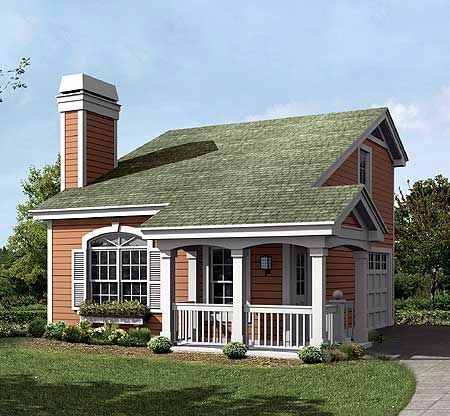 Charming cottage with second-floor master suite from Architectural Designs. At 641 square feet (60 square meters), this home from Architectural Designs has a striking slanted roof that features a prominent chimney. The main entrance is on the right side of the home, and it opens into a small entryway with a coat closet. The open concept living room and kitchen are directly ahead of the front door, and the staircase is to the right of it. The entire second floor is taken up by the master suite, which includes a walk-in closet and a bathroom with a tub. 5. 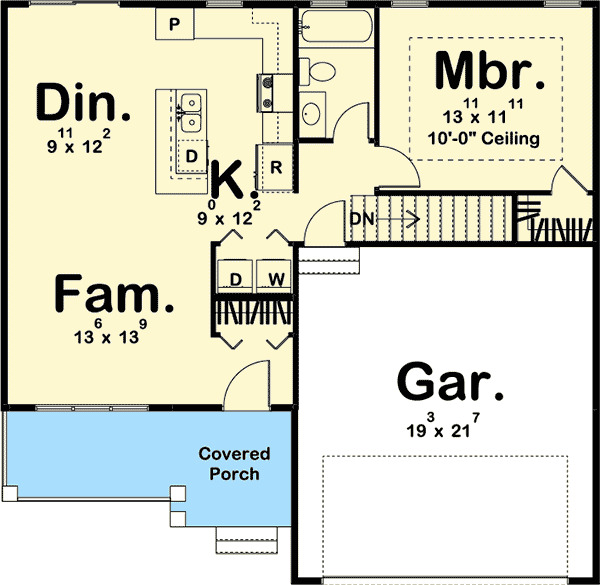 Contemporary shed-style home from Floorplans. 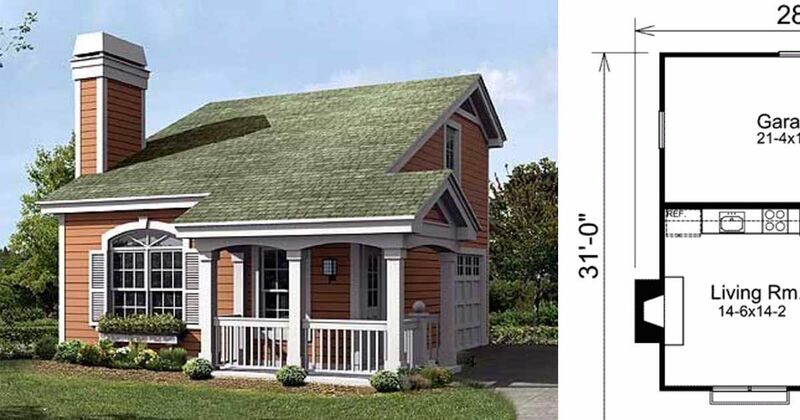 This charming little home from Floorplans measures 775 square feet (72 square meters) and features a large deck out back. 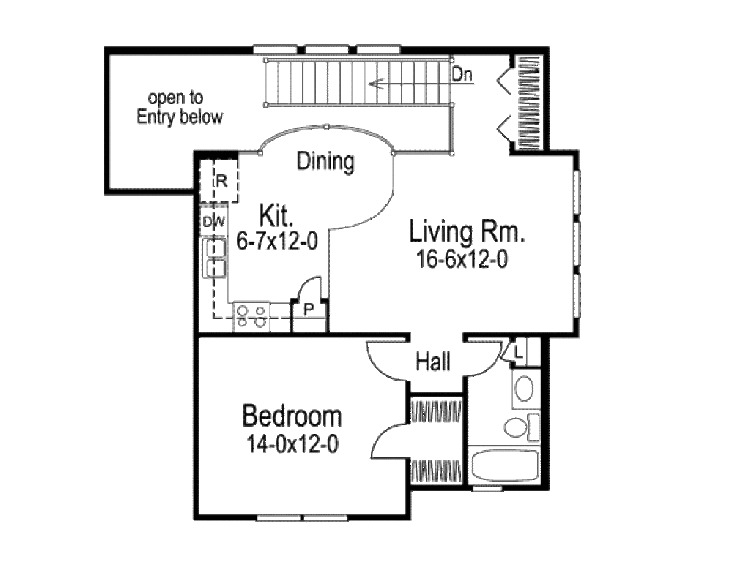 The front door leads to a hallway with a coat closet and a storage space, which leads to the large living room. The dining room and a tiny but efficient kitchen are off to the right. 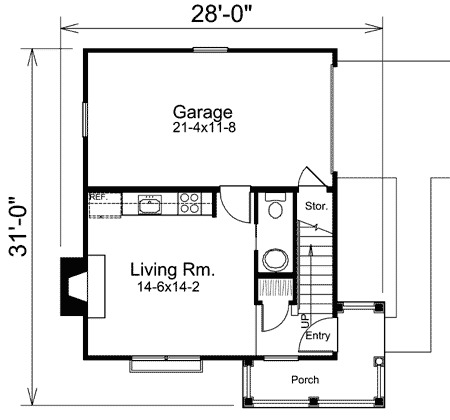 A smaller second hallway off the living room leads to a laundry closet, a bathroom with a tub, and the master bedroom. 6. 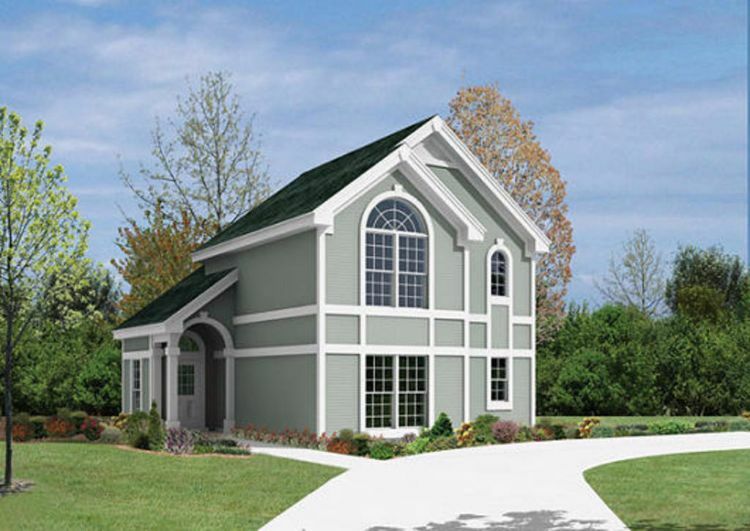 Two-story traditional home from Houseplans. This eye-catching traditional design from Houseplans measures 902 square feet (84 square meters) and has plenty of windows to let in natural light. The front door is on the left side of the home, and it opens into an entryway with a staircase going up to the right. The remainder of the first floor is taken up by the double garage and a laundry room in the back right corner. A large coat closet sits at the top of the stairs, and this entryway is open to the living room. Right next to the living room are the dining room and kitchen; the dining area is open to the entryway below thanks to a railing. 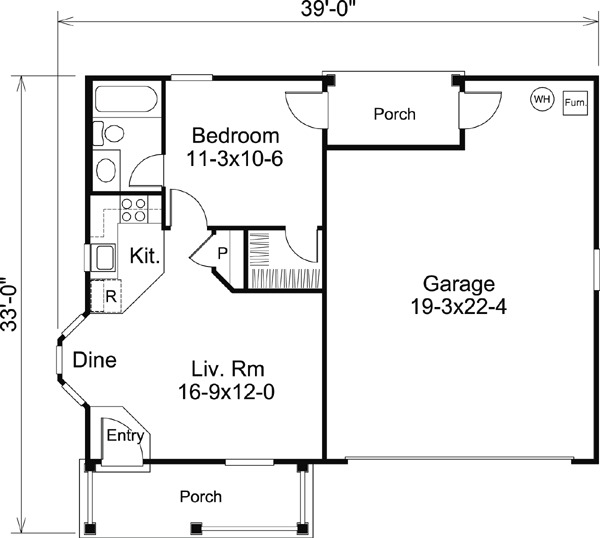 The remainder of the home is taken up by a bathroom and a bedroom with a large walk-in closet. 7. 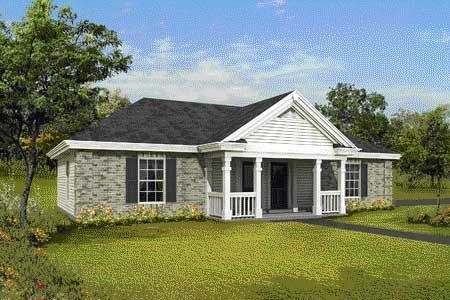 Southern-style rancher with large corner fireplace from Architectural Designs. Coming in at 588 square feet (55 square meters), this home from Architectural Designs oozes Southern-style charm thanks to a covered front porch and paned windows. 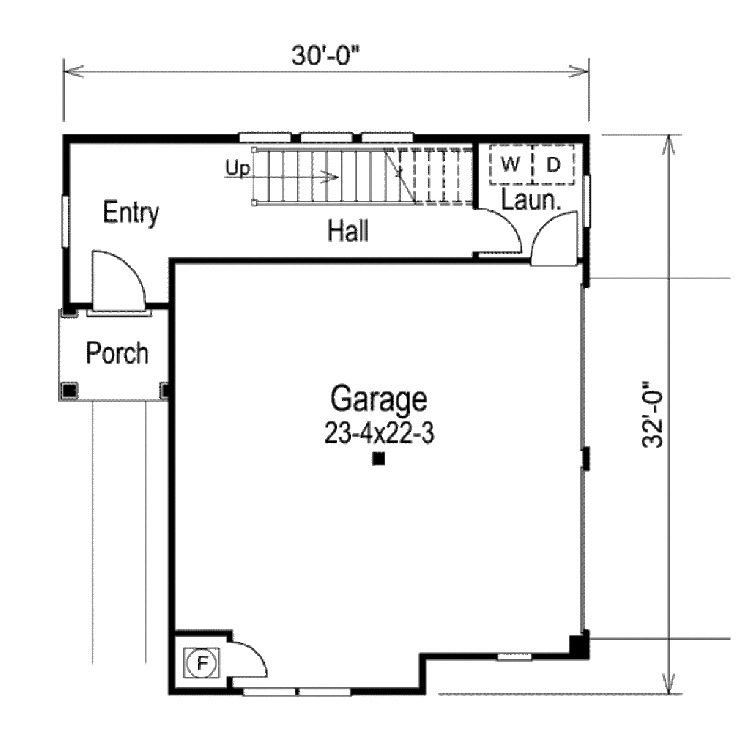 There are two doors on the front porch; the one on the right opens into the double garage, and the one on the left leads into the home's entryway. This entryway is also directly connected to the garage by a door on the right. A small hallway can be found to the left of the entryway; it leads to a coat closet, a bathroom with a tub, and the bedroom. The open concept living area takes up the back portion of the home, and it includes a large corner fireplace, a dining area that offers access to the back patio, and a kitchen with a large pantry.